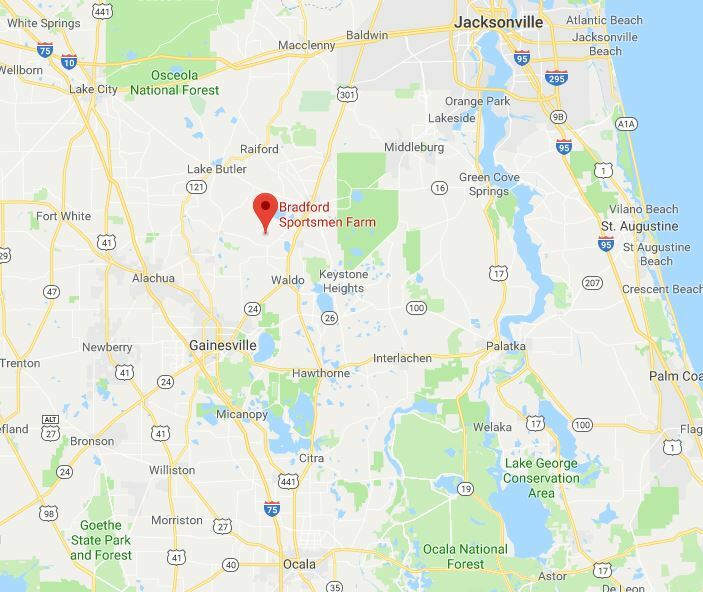 Bradford Sportsmen’s Farm is located at 11394 SW 106th Ave, Graham, FL 32042. 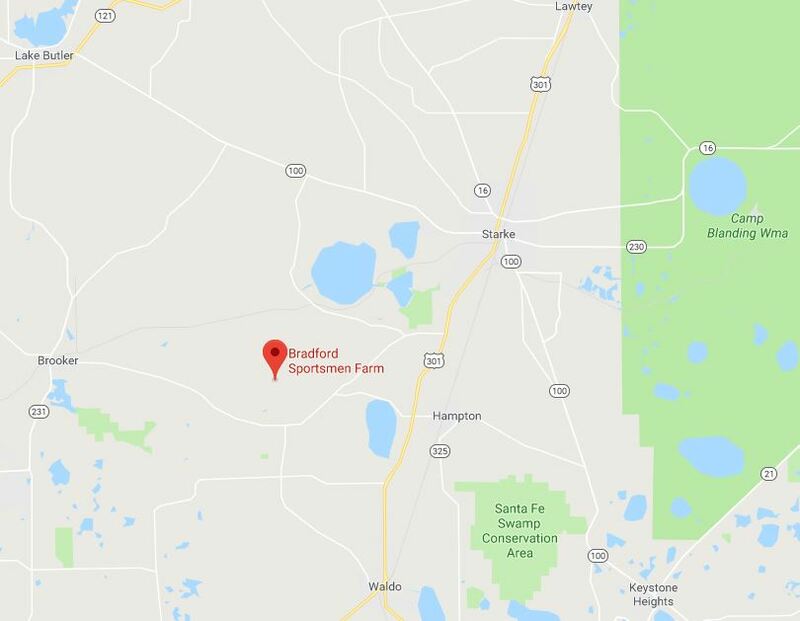 In the heart of North-Central Florida’s lake country, the Farm is off the beaten path but we’re sure you’ll find it is well worth the trip. Click on one of the maps below to enter an interactive map made possible by Google Maps.